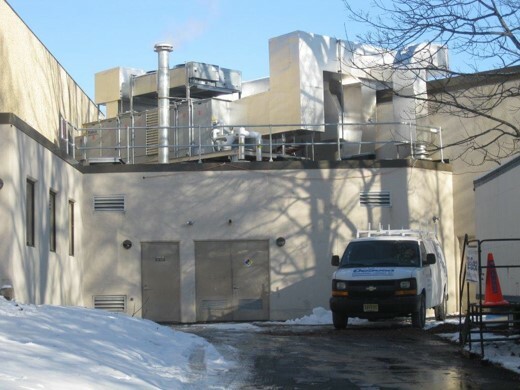 The existing Hot Water Boiler and Rooftop Pool Unit had reached the end of their useful life and the cost of repairs and ongoing maintenance warranted their replacement along with the replacement of the associated piping, hangers, insulation, valves breeching and controls. 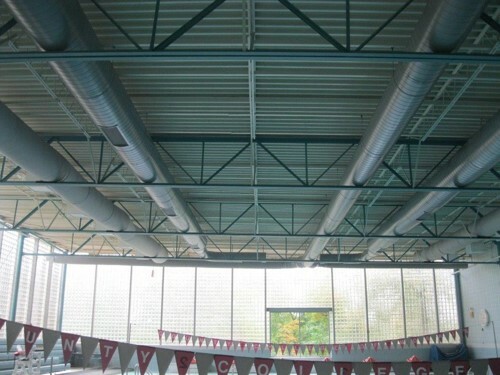 The work consisted of demolition of existing hot water boiler and rooftop pool unit as well as selective demolition of piping, hangers, valves, breeching and controls. A new gas fired boiler system consisting of new boiler, hot water pumps (secondary),were installed. New piping and valves were installed with new the equipment as well as new breeching for the boiler. New DDC controls were integrated with the BMS (Hot Water/Air systems) and new electrical service was installed for the new equipment as well as an extension of an existing gas line to the new boilers. A new Rooftop Pool Unit along with new interior and exterior ductwork, refrigerant, drain piping and valves were also installed. EI also assisted CCM in applying for Smart Start Rebates to help offset project costs.